Choosing an Android Wear watch can be as difficult as picking out a phone. We're here to sort it all out. Google has streamlined and simplified things all throughout the second release of Android Wear, and it feels like much more of a mature system. Most notably, there’s a new circular interface for selecting apps, which makes it easier to select and scroll though lengthy lists. Notifications are just a swipe-up away, and it’s much easier to change watch faces, requiring a simple swipe rather than a trip to your phone. It’s easy to swap and customize watch faces in Android Wear 2.0. You watch face is like your home screen, and Google has made it even more personal in Android Wear 2.0. Not only are watch faces easier to install—just swipe left on your existing watch face and swipe over to “Add more watch faces” to fill up your your collection—you can also personalize them with third-party complications. To get started, either long press on the current face to edit it, or swipe left and tap the gear icon below a face to enter the “Customize” menu. Then click on “Data” to see what complication shortcuts can be added to your face. You can download and install apps right on your wrist with Android Wear 2.0. Android Wear 2.0 is about creating greater independence from your phones, and nowhere is that more evident than the Play Store. Head over to your app list, scroll down to Play Store, and you’ll be able to purchase, download, and install any app that’s available for Android Wear 2.0. And if you have one of the LTE models, you can get new apps whenever the moment strikes. Android Wear 2.0 brings a pair of new fitness apps, Google Fit and Fit Workout. Google Fit will let you set goals, track steps and and calories burned, and, if your watch supports it, monitor your heart rate. The tandem Fit Workout app breaks out specific activities, such as walking, running, and biking to better pinpoint your exercise gains. Sit-up and push-up challenges will teach you the proper form (with little images on your watch), and on most watches, the Strength Training option will automatically detect your workout and reps.
Android Wear 2.0 brings Google Assistant to your wrist. Android Wear watches have had voice control since day one, but Android Wear 2.0 brings a more capable Google Assistant to your wrist. To summon it, either say, “OK, Google” or press and hold the power button for a couple of seconds. Then you can ask questions, send messages, launch apps, and control smart devices just like you would on your phone. Android Wear 2.0 also brings payments to your wrist via Android Pay, but you’ll need a watch equipped with an NFC chip to use it. 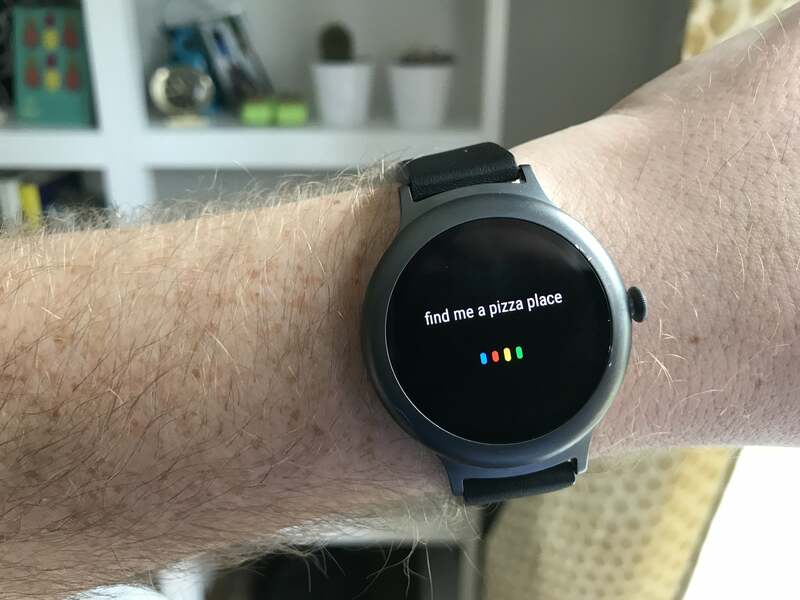 If you have one, you can set up your cards in the Android Pay app and hold up your watch to the checkout terminal to pay, even if you leave your phone at home.